With a big house come a number of big responsibilities that range from annual fixes to paintjobs, remodeling and redecorating from time to time. However, those who have already decided to have a spacious home were probably aware of both positive and negative sides of it from the beginning, but opted to focus on the former ones. Ultimately, being able to accommodate all your belongings, dedicate a separate room for each of your children, provide space for a gym, a home office or a mini-cinema and, in short, not be limited in space, truly is something only people living in big houses can feel. Additionally, you can own a pool, a small orchard or a big lawn. Your garden then becomes a meeting place for your family and friends and an area where you spend more and more time during the warm days. 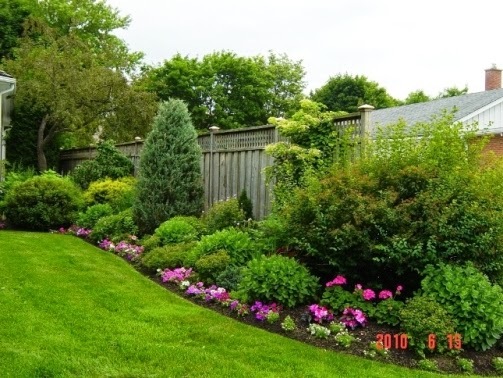 This is why your lawn needs to be perfect and, if you have a big lawn that you are proud of, here are some tips on how to take special care of your lawn. Taking lawns for granted, the majority of people don’t consider them important or vital when it comes to the looks of your house – they are simply there and there’s nothing those people do about it. Nor do they want to. They don’t consider this an asset, but a piece of land that comes with their house a priori and doesn’t need special attention. This attitude is obviously wrong and doesn’t present good grounds for your lawn’s future. 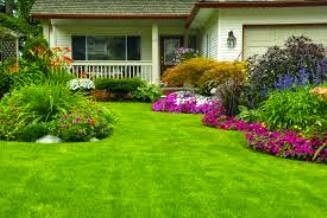 If you see it as a more than a certain number of square feet of grass, you can decide to implement some new details into its care and thus get a better-looking lawn that will not only bring you satisfaction, but also become the envy of the neighborhood. Finally, it will provide people with something to do, something more than a hobby, something to take care of, which is exactly what some of them need. The same way you wouldn’t appreciate being stepped on day in and day out, your grass shouldn’t be destroyed this way. Yes, your children just love being bare-foot on the freshly mowed lawn, but you could instruct them not to do it all the time. If you designate a part of the lawn and turn into an area for playing, you might just have you cake and eat it too! On the more serious note, try to limit stepping over the grass. This will both protect it and make it less susceptible to problems that might occur when it’s not taken care of properly. Also, you can engage your children into an activity that is good for your lawn as well as them – removing the fallen leaves and branches, for example. People who don’t have grass or fruits cannot realize the full potential of water and simple watering systems that can be installed. If you notice that your lawn’s color started fading or changing, be sure that one of the possible problems is draining and watering, and there’s only one solution for this issue – a better system of water supply. What most experts recommend today are advance sprinkler systems that use a drop-by-drop tactics. These are quite easy to make and you can do it yourself, even though it’s better to contact a professional who can give you pointers and provide help. The thing with this system is that it can’t overwater your lawn if your program it properly and you will see results in no time. In the end, this system is easily used – just turn on the tap and watch the drops bring your lawn back to life. It’s very important not to leave your grass too high nor mown it too much and have just a few millimeters of it – in short: try to achieve the perfect length that will ensure the longevity your grass and avoid damages. Most of modern lawnmowers have a precise system for choosing just the right length and you should always go somewhere in between. Finally, when it comes to lawnmowers, be extra careful: keep them clean and sharp because every slight problem with it might affect the quality of your lawn. Again, having a big lawn isn’t something everyone can experience today, with so many people living in apartments and resident areas with limited greenery. Therefore, if you are lucky enough to have it as a part of your house, try to take care of it every step of the way, from organic fertilizers to the irrigation system.